PT Pertamina EP Cepu - PEPC or known as "Pertamina EP Cepu" is a well-established oil and gas company in Indonesia with core competencies in the field of upstream oil and gas business activities. Its business include exploration and exploitation of oil and natural gas. Based in Jakarta, Pertamina EP Cepu has exploration and exploitation activities in Cepu Block which cover Blora Central Java, Bojonegoro East Java and Tuban East Java. Pertamina EP Cepu is an upstream subsidiary company of state-owned oil company PT Pertamina (Persero) or Pertamina Group. As of December 2015, PT Pertamina (Persero) holds 99% shares in Pertamina EP Cepu. While the rest was owned by PT Pertamina Dana Ventura (1% shares). In term of financial performance, Pertamina EP Cepu succeeded in posting excellent financial performance in 2015. According to PT Pertamina EP Cepu Annual Report 2015 as cited by JobsCDC.com, Pertamina EP Cepu managed to record total operating revenues of USD 477.894 thousand in 2015, an increase by 63.36% year on year (YOY) from USD292,536 thousand in 2014. In 2015, total assets of Pertamina EP Cepu amounted to USD 1,972,844 thousand, an increase by 14.15% compared USD1,728,393 thousand in 2014. Minimum Bachelor or Master Degree (S1/S2), majoring in Mechanical Engineering, Petroleum/Oil and Gas Engineering, Mechatronics/Electromechanical Engineering, or other equivalent Engineering majors. Minimum 10 years of experience in project management, engineering and project execution including minimum 3 years in Oil and Gas industry and 5 years of experience in rotating and package construction function. Preferably as Supervisor/Staff specializing in Engineering - Mechanical/Automotive, Construction Mechanical Rotating Package. Expertise with Rotating Package, Mechanical Design. Minimum Bachelor or Master Degree (S1/S2), majoring in Electrical/Electronic Mechanical Engineering, Petroleum/Oil and Gas Engineering, or other equivalent Engineering majors. Minimum 10 years of experience in project management, engineering, construction and project execution including minimum 3 years in Oil and Gas industry and 5 years of experience in instrument and control construction function. Preferably as Supervisor/Staff specializing in instrument and control. Expertise with instrument and control, project management, instrument calibration. Minimum Bachelor or Master Degree (S1/S2), majoring in Petroleum/Oil and Gas Engineering or other equivalent. Minimum 10 years of experience in project management, engineering, construction and project execution including minimum 3 years in Oil and Gas industry and 5 years of experience in project construction planning. Preferably as Supervisor/Staff specializing in Engineering - Oil/Gas or equivalent. Expertise with project management and risk management. Minimum Bachelor or Master Degree (S1/S2), majoring in Civil Engineering, Mechanical Engineering, Petroleum/Oil and Gas Engineering, Metal Fabrication/Tool and Die/Welding Engineering, or other equivalent Engineering majors. Minimum 15 years of experience in oil and gas company and the related field. Preferably as Assistant Managers specializing in Engineering - Civil/Construction/Structural, Piping Construction or equivalent. Expertise with Microsoft Project, Microsoft Office, Piping Construction, Piping System Design, and Project Construction. Minimum Bachelor or Master Degree (S1/S2), majoring in Civil Engineering, Petroleum/Oil and Gas Engineering or other equivalent. Minimum 12 years of experience in the related field. Preferably as Assistant Managers/Superintendent specializing in Engineering - Civil/Construction/Structural or equivalent. Expertise with Civil and structural design, project management, oil and gas facilities project, risk management, health and safety management. Minimum 15 years of experience in project management, project construction, engineering and project execution including minimum 10 years in Oil and Gas industry and 5 years of experience in mechanical construction funtional. Preferably as Assistant Managers/Superintendent specializing in Engineering - Mechanical Construction or equivalent. Expertise with Microsoft Project, Mechanical Design, Oil and Gas Contruction Project. Have a project management skill. Minimum Bachelor or Master Degree (S1/S2), majoring in Economics, Industrial Enhineering, Hospitality, Tourism, Hotel Management, Logistic, Transportation, Business Studies, Administration, Management or equivalent. Minimum 6 years of experience in the related field, preferably as Assistant Manager. Have a good leadership and negotiation skills. Have a good transportation management skill. JobsCDC.com now available on android device. Download now on Google Play here. Please be aware of recruitment fraud. The entire stage of this selection process is free of charge. 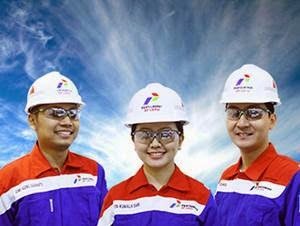 PT Pertamina EP Cepu - Engineer, Superintendent, Asst Manager Pertamina Group November 2016 will never ask for fees or upfront payments for any purposes during the recruitment process such as transportation and accommodation.